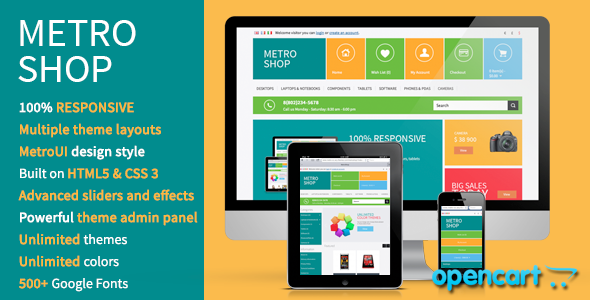 MetroShop – Premium Responsive OpenCart theme with powerful admin panel, different layouts, and unlimited colors! 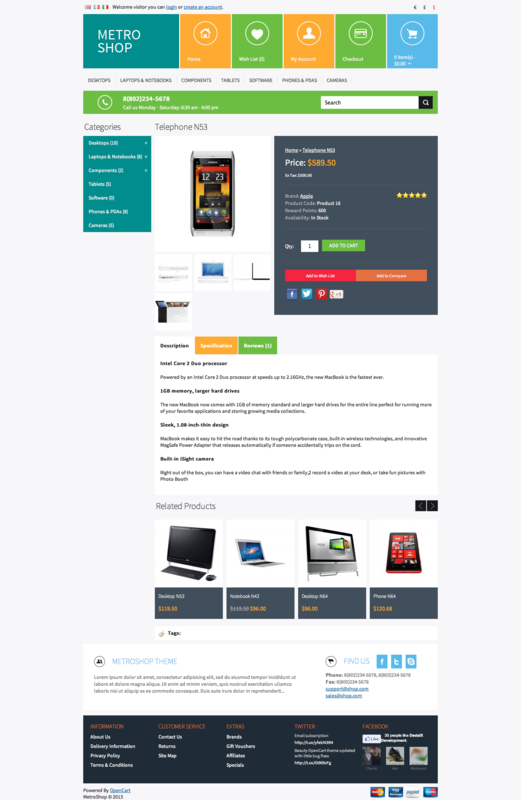 MetroShop is a universal 100% responsive OpenCart Premium theme for any kind of shop with stylish MetroUI style design and powerful backend and it’s created with using the latest HTML5 and CSS3 features. Admin panel with easy navigation and 300+ configuration options allows you to change every thing in theme without learning HTML or CSS. You can manage colors of 150+ theme elements, select 500+ amazing fonts, apply 40+ pattern backgrounds and setup hundreds of theme settings and effects! 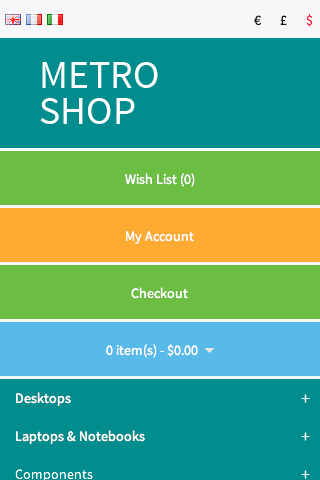 MetroShop theme also available for Magento here. 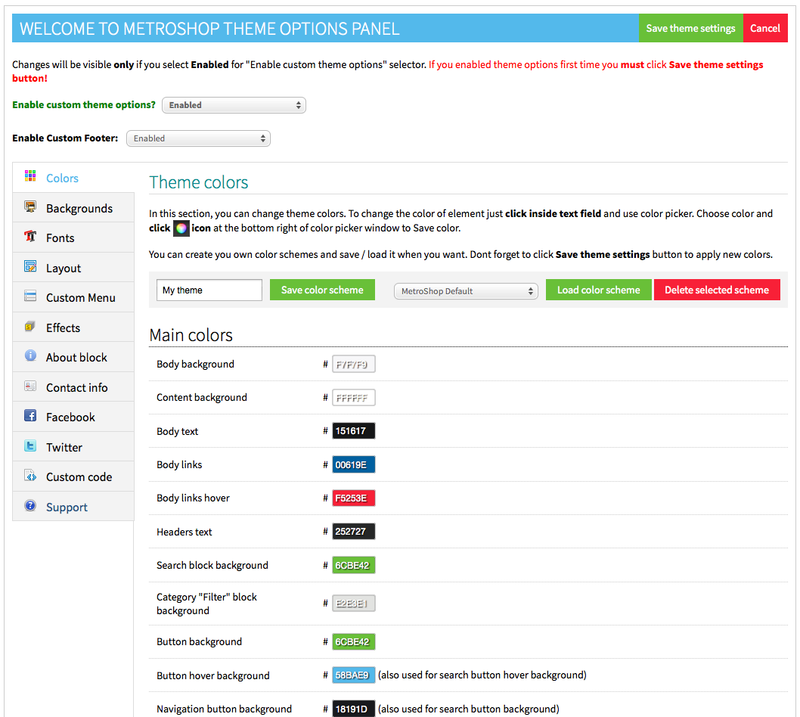 Unlimited color combination and themes - make your own color themes from admin panel, save and load it! Several build-in color themes provided! 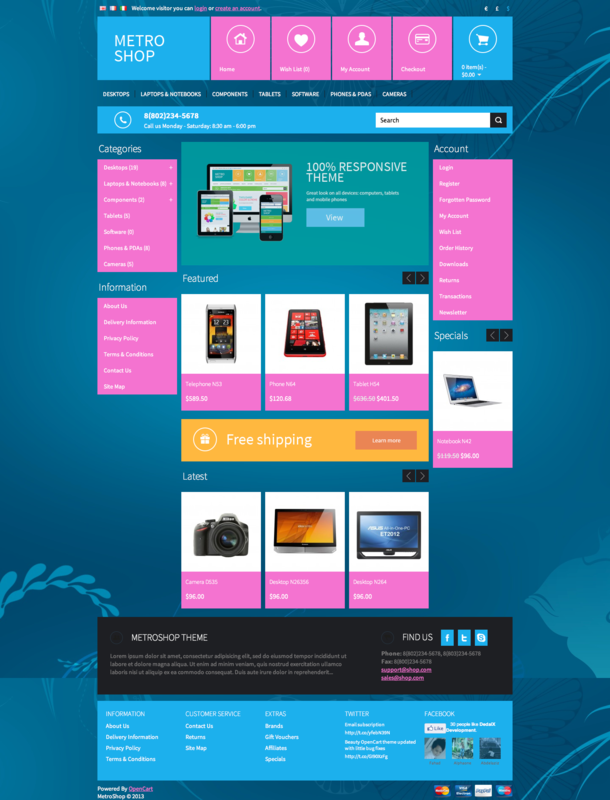 Theme updated for new OpenCart 1.5.5.1 version. 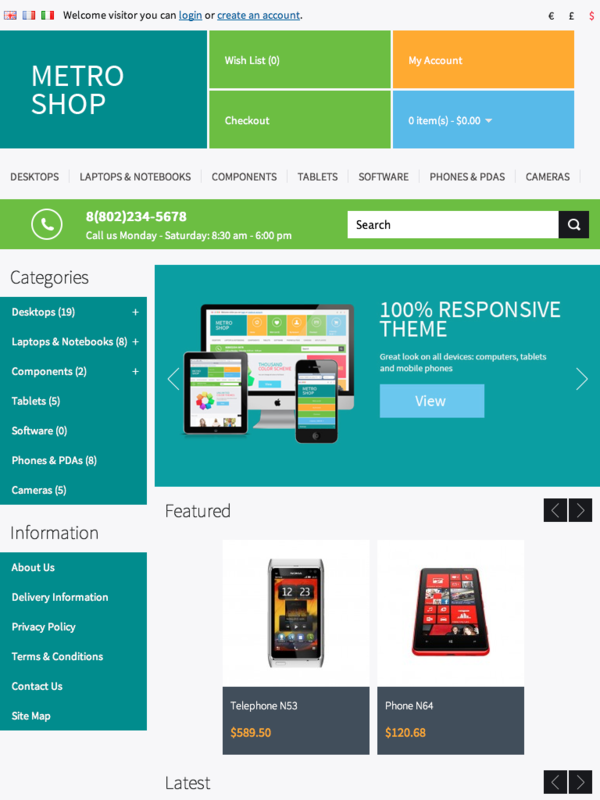 Please update your OpenCart to latest 1.5.5.1 version before install or update theme! 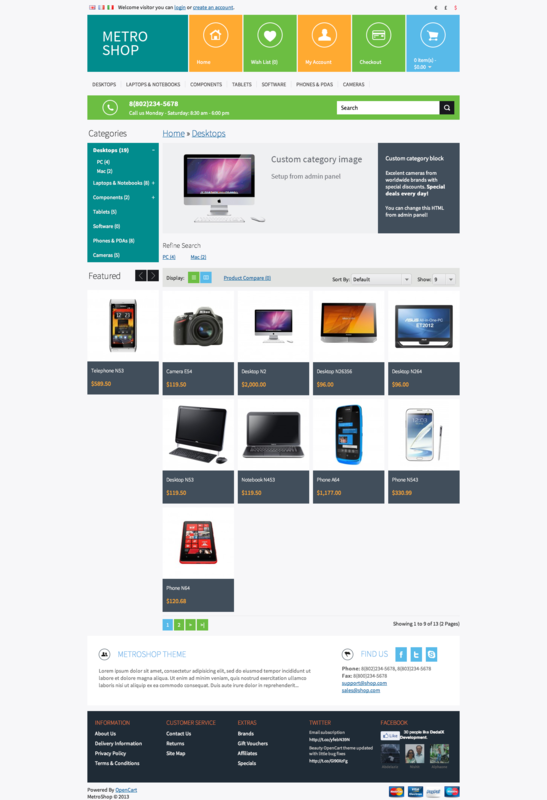 After this upgrade theme will work on OpenCart 1.5.5.1 or later ONLY, because OpenCart developer changed module model in new OpenCart release and all old modules and themes for OpenCart 1.5.4 will not work on 1.5.5 or later. 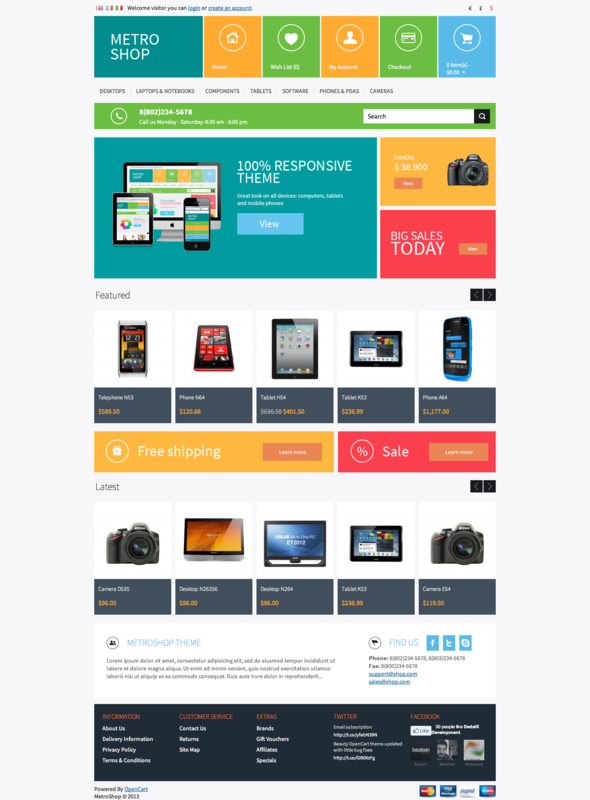 This theme supports OpenCart versions 1.5.4.x – 1.5.6.x without modifications of core files (mods, hacks, vqmods), as there are NO modifications in core files. 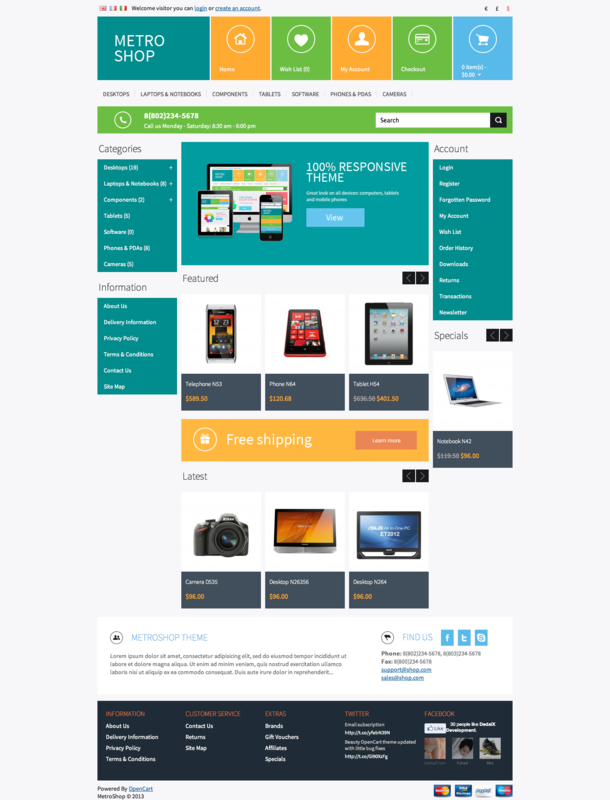 And we make sure it will work with any future OpenCart releases.